Elite Seeds seedbank was born in 2007 with like for strains that overstand for their THC, CBD or by being autoflowering strains with good manners. In their seed catalogue we'll fins a nice variety of flavours, that represent the highest demands of all growers. In-between their cannabis strains we will find all kind of tastes, incensed, citrus, fruity, earthy, spicy, thanks to the variety of hybrids type indica or sativa, selected always looking for quality. Elite Seeds marijuana listings has 3 main groups: THC Rich, CBD Rich and Autoflowering. 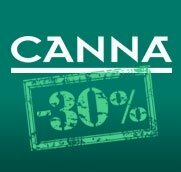 THC Rich strains: THC is one of the cannabinoids presents in cannabis. Depending on the quantity of THC of each strain this can produce an effect or another. In case of THC, is responsible of psycoactivity of cannabis. This group of strains should be considered by users that tolerate, seek and enjoy THC. CBD RIch strains: CBD, or cannabidiol, is another main component of cannabis. Strains grouped in this section have a THC:CBD ratio of 1 to 1 or higher in CBD, what makes them more interesting for medical purposes and for wellness. Autoflowering strains: Elite Seeds autofloweriing genetics, or commontly known as automatic, are those that introduce cannabis rudelaris in their genes. Cannabis rudelaris seeds are non photo-dependant, what makes them available to be grown all along the year, not only in one season, and are usually ready to harvest in 2-3 months from germination. 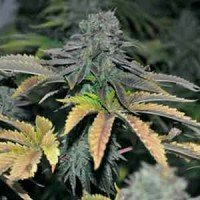 Amnesia Haze Ultra CBD seeds are grouped in Elite Seeds CBD Rich collection catalogue, with higher levels of cannabidiol, the compound that makes them more medicinal. Amnesia Haze Ultra CBD marijuana has a CBD:THC ratio of 11:9,5. These genetics are born from the cross between the prizer winner Amnesia clone and a strain rich in CBD, getting a strong effect sativa, heavy yielder and haze flavoured. Elite Seeds' Banana Joint seeds produce female plants, with an amazing banana taste that will be desired by every grower. The taste of this strain longlasts in mouth for a long time, being a deli for cannaisseurs. Banana Joint marijuana has an indica relaxing effect, and medium yields, of high quality flowers. Elite Seeds Bestial Skunk marijuana is an easy to grow strain, resistant against pests, that produces heavy yields, coated in resin. Skunk strains became popular in Holland in 80s decade, by its citrus flavours, huge yields, and quick flowering time. Now from this cannabis seedbank we get Bestial Skunk, a genetic that tastes like lemon candy, and mind effect. 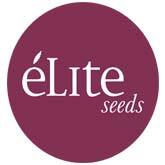 Elite Seeds Black Hole seeds produce female plants highly productive, quick flowerers, with thick compact buds cup shaped. Black Hole marijuana flavours are sweet and fruity, with a powerful body effect. 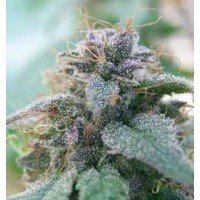 Black Hole cannabis is a good choice for both, experienced and newies, being a really easy to grow strain, Outdoors she will be ready to harvest in Mid September, saving problems due to first rain drops. 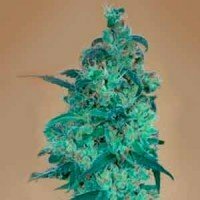 Blue Elite Indica marijuana seeds by Elite Seeds seedbank produce female plants with indica dominant character. This genetics is born from a cross between a selected Kush and a Blueberry. This Blue Elite Indica is a heavy resin producer, so she will be a perfect strains for extracts lovers, due to the quality of the ending product in any of the differen extraction methods. Blue Elite Indica cannabis plants are medium sized, with a good side branching, bushy shaped. Elite Seeds' Caprichosa Thai seeds produce plants with spicy and fresh flavours, and a taste that will like to all growers, since the early first hit until the last. Caprichosa Thai marijuana produce a happy effect, very pleasant, specially good for those who like to smoke all day long, and prefer a softer buzz. This strain is a heavy resin producer, with long and weighty buds, in a very quick flowering time, that allows her to be ready to harvest in Mid. September. Elite Seeds' Early Widow seeds are an early version from the famous White Widow that filled Dutch Coffee Shops during the 90s decade. To bring to market this Early Widow, at Elite Seeds they have been woring on the classical White Widow, crossing it with a californian Skunk known by its quick flowering time. Early Widow marijuana has all characteristics from the original version like power, yields and flavours, together with a fast flowering pahse that makes it perfect for indoor and outdoor growing. Elite Seeds Elite 47 seeds produce female plants, with a hybrid sativa-indica character, heavy yields, and a clear couchlocking effect. To bring this strain to market, at Elite Seeds they worked improving the famous AK47 created by Serious Seeds. Elite 47 marijuana is a cross between two phenotypes of AK-47, one selected by its powerful effect, and the other by its taste and yields. Elite 47 Auto seeds by Elite Seeds seedbank, are the autoflowering version from the Elite 47. Elite 47 Auto marijuana plants are a cross between Elite 47 and a selected rudelaris strain, by its quick flowering time and good yields. Elite 47 Auto cannabis plants are medium-tall sized, and produce huge buds, and weighty, of thick flowers. 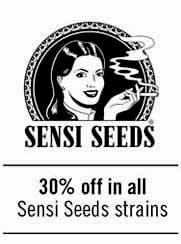 The effect of this strain is very powerful and relaxing, thanks to parentals used. Elite Seeds Goliat Auto seeds are the autoflowering version from their Bestial Skunk. This strain cross of a Bestial Skunk with a selected Rudelaris, has a quick flowering time, with a medium to low size, that trends to grow wide, producing big buds, thick and compact, that make her be a heavy yielder. Goliat Auto marijuana is a good option not only during the warmer season, also resists quite good the cold.